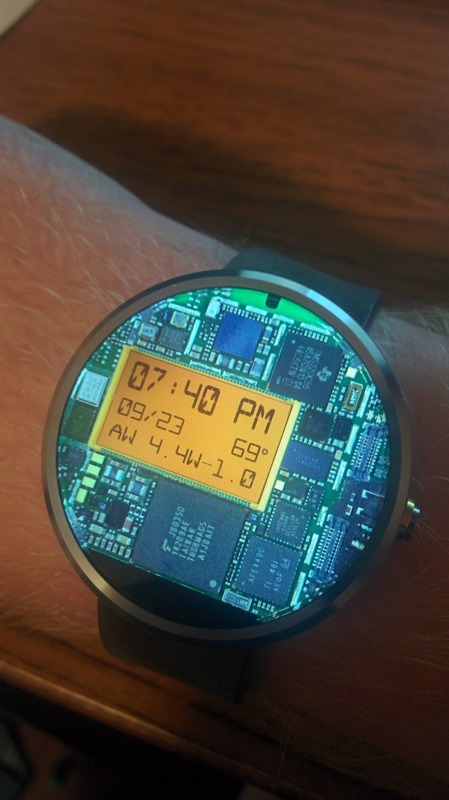 There are those who want to make their Moto 360 as elegant as possible. Some prefer to be a bit silly. But for those who want to demonstrate just how gutsy they can get, there's nothing like showing off the heart and soul of your gear. 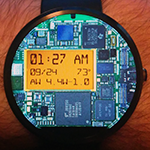 If this sounds like you, Circuit Wear for the Moto 360 might be your next watch face. What you're looking at is a photo of the circuit board lodged a mere couple of millimeters behind the screen, and it really is pretty neat. 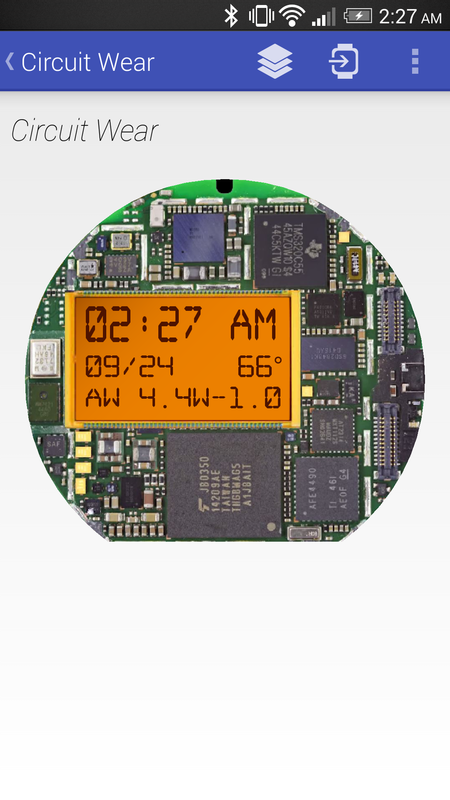 The board has been scaled up ever so slightly to fill the screen, representing the internals of the watch. 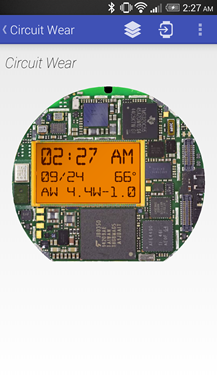 The only apparent addition is a standard low-res monochrome display which replaces a handful of small transistors, the Texas Instruments USB 2.0 Transceiver, and the 4GB flash storage by Micron Technology (which also covers the woefully chosen TI OMAP3630). If you'd like to take a closer look at the original board, check out step #14 of iFixit's teardown. For now, Circuit Wear is only suited to the Moto 360, but Jacob Burch, the creator, says he will be working on similar designs for square Wear fairly soon. If Circuit Wear has inspired to show your true colors, you'll first need to install Facer, which we've talked about previously (note, it is a paid app). 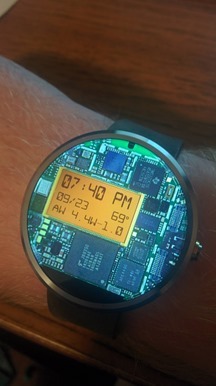 Once that's done, just download the watch face file Jacob's Reddit thread and open it inside of Facer. The digital readout is currently configured to take an electronics approach to numbers by showing '00' instead of '12' at noon and midnight. If you'd like to switch it to the conventional numbering, just edit Circuit Wear inside of Facer, tap on the Layers button and then the first text field, and change the text to lead with #DhZ# instead of #DKZ#. 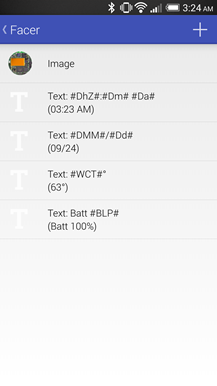 This might also be a good time to change the bottom line, which is just static text, to be something like a battery level or weather forecast.